Free Education offered to Eligible students. Maximum Exposure towards Research & development in all aspects of Technology. Updated Syllabus taught for all fields of studies (Engg/Arts & Sciences/ Medicine) for Both Bachelors and Masters levels. Wide range of Courses and career options to choose from, Industrial tie ups Collaborations of universities, open pathways for students to acquire internships and Post study work options. Qualified staff and trained counsellors with professional approach. Perfection in Selection of Course, University & Country matching students profile and aspirations. © 2015. All Right Reserved. 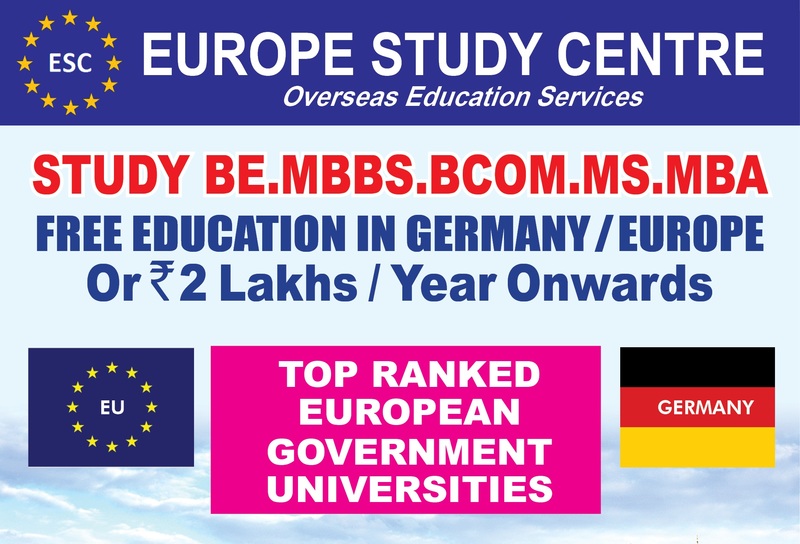 Europe Study Centre.